Last week we wrote about the various ways in which our cosmetic dentistry treatments could help you achieve that perfect summer smile you’ve been dreaming of. We explained how teeth whitening, white fillings, porcelain veneers and even dental crowns could make a world of difference to your life by creating the most attractive gleaming white smile. What we didn’t mention was what you could do if you had a missing tooth or even if a number of teeth that were missing. Well, we’re delighted to tell you that today even this is not a major problem because thanks to our very latest Dental Implants Manchester technology we can actually replace those missing teeth so that your smile looks perfectly natural. Don’t wait though … if you want to be sure that your smile will be restored in time for summer you really should contact us without delay to discuss how our dental implants treatment can make your dreams come true. Dental implants have been around for over 50-years, but recent developments mean that they now perform better and look better than ever before. As one of the country’s leading dental implants specialists we have an amazing 95 percent success rate even after 20-years for non-smokers and an 85 percent success rate after 20-years for patients who smoke. This impressive record is of course partly as a result of our unrivalled experience and expertise, but it is also because at Carisbrook we never cut corners on products and we exclusively use Astra dental implants that are scientifically recognised as being among the very best available. If you are interested in discussing whether dental implants are a suitable option to regenerate your own smile in time for summer you must contact us without delay because before we can proceed we will have to examine your jaw and arrange either a CT scan or X-ray to determine suitability. However, assuming that everything is in order and we find no reason why you shouldn’t benefit from dental implants we will manufacture specially made implants that are a perfect match for your surrounding natural teeth. So be prepared for summer with a brand new summer smile that will make you look better, feel better, enjoy your food better and that will work wonders not only for your self-confidence but will also vastly improve your social life. 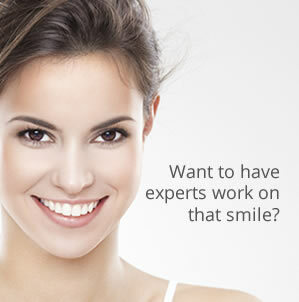 To arrange a FREE CONSULTATION with our Cosmetic Dentist in Manchester right now. You can call us on 0161 951 7295 or you can contact us by using the online booking form on our Appointments page.